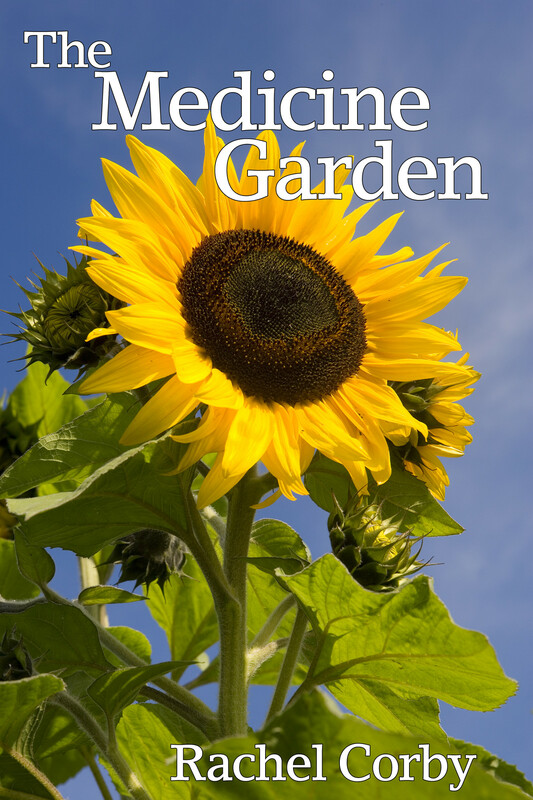 I have decided to move the reviews I received back in 2010 shortly after the publication of my first book The Medicine Garden from my website and keep them here instead. The reason is that I am attempting to streamline my website in readiness for the publication of my latest book Rewild Yourself: Becooming Nature (still a week or so off). “I love the natural world and have always been especially interested in the healing power of plants, so whenever I’m in a library or a bookshop I always head straight for the ‘Natural Remedies’ section. There are so many books to choose from, but many of those that have been recently published are just re-formatted versions of something I’ve read before – and often quite disappointing. The book I have on my bedside table at the moment doesn’t fall into this category though; the book I have on my bedside table is truly magical! It came through the post last week and I sensed as soon as I opened the package and saw the cover that it was going to captivate and delight me. So, I resisted the temptation to dip in until I had first made myself comfortable with a nice cup of (herbal) tea – and then I began…. It’s difficult to know how to write this review because I feel that, somehow, Rachel Corby’s ‘The Medicine Garden’ is more than just a book. It is a message; a call back to nature; a plea to remind us that we are in danger of growing so far apart from that with which we are inextricably linked, that if we’re not careful we may never find our way home. Rachel’s introduction is written from the heart and I can see immediately that she is absolutely immersed in the natural world; I know that what I am about to read is going to be so much more than a list of ‘which plants have what properties’. On a practical note, the information I need to be able to identify which plant to pick for a sore throat, sinusitis or sunburn, is easy to find – and there are detailed instructions on how to make basic preparations such as tinctures, salves, infusions and syrups; but what is most inspiring is Rachel’s deep and intimate connection with the plants she writes about. Apart from the delightful way Rachel writes, the wealth of information contained within ‘The Medicine Garden’ is arranged in a unique way that would appeal to anyone who has ever been interested in medicinal plants; whether they be novices or practitioners. Rachel’s approach is to begin with the plants on your back doorstep – before moving on to the lawn; the flower border and the vegetable garden – and then further afield to the hedgerow, woodland and riverside. I can actually visualise myself taking a familiar walk as I read through the chapters of this book. I see the herbs just outside my own back door; the honeysuckle and aquilegia at the end of the path; the calendula and borage in amongst the summer squashes; dandelion and stinging nettles on the grassy verges; hedgerows brimming with blackberries, rosehips and hazel nuts…..and I haven’t even reached the woodland or river yet! 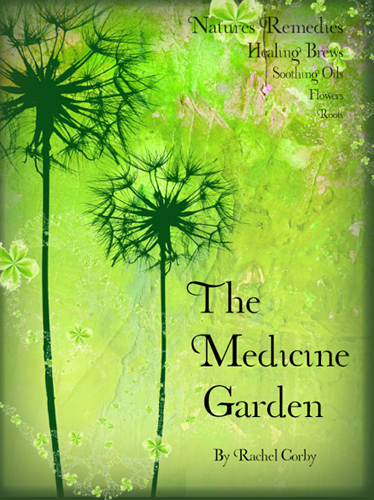 “The Medicine Garden, by Rachel Corby, is a breath of delicately scented air that fills the senses with joy. It is infused throughout with Rachel’s passion for her subject and is liberally seasoned with her own delightful anecdotes. One almost feels like her companion on a relaxing stroll through a beautiful garden on a balmy summer day. Her approach is friendly, her humour gentle and infectious, and she is open and generous with her knowledge. This is a book that can be dipped into time and again in a spare moment or as a reference manual, but it can also be read from cover to cover without ever becoming wearisome or repetitive. Rachel begins by introducing herself, her love of nature in general and of healing plants in particular. She reminds us of our own place within Creation and of our responsibility towards the other ‘beings’ we share our planet with. She then goes on to briefly discuss diet and lifestyle and their role in health and ill-health. There follows a short chapter on the myriad ways of preparing medicinal plants – infusions, decoctions, tinctures and salves, as well as syrups, vinegars and sleep pillows – along with advice on how to administer each of them. The main part of the book is divided into two sections. The first features herbs that can be easily cultivated or might even already be resident in our gardens; the second takes a look at plants that might be found slightly further afield in a variety of habitats including coastal, woodland and moorland environments. Almost 150 medicinal plants are described in detail – these include herbs both familiar and more exotic, fruit and vegetables, shrubs and trees. Each entry gives clear instructions on collection and preparation of the plant, lists its main actions and applications, and flags up any cautions or contraindications. Many are accompanied by black and white photographs, and there is a section of colour plates in the middle of the book featuring the prettiest flowers and fruits. However, readers inexperienced in the accurate identification of plants would be advised to have a botanical field guide to hand in addition to this book. Finally, the reader is provided with a series of appendices which list common ailments together with suggested remedies, a directory of resources and suppliers, a glossary and bibliography, and some exercises for communicating with plants.